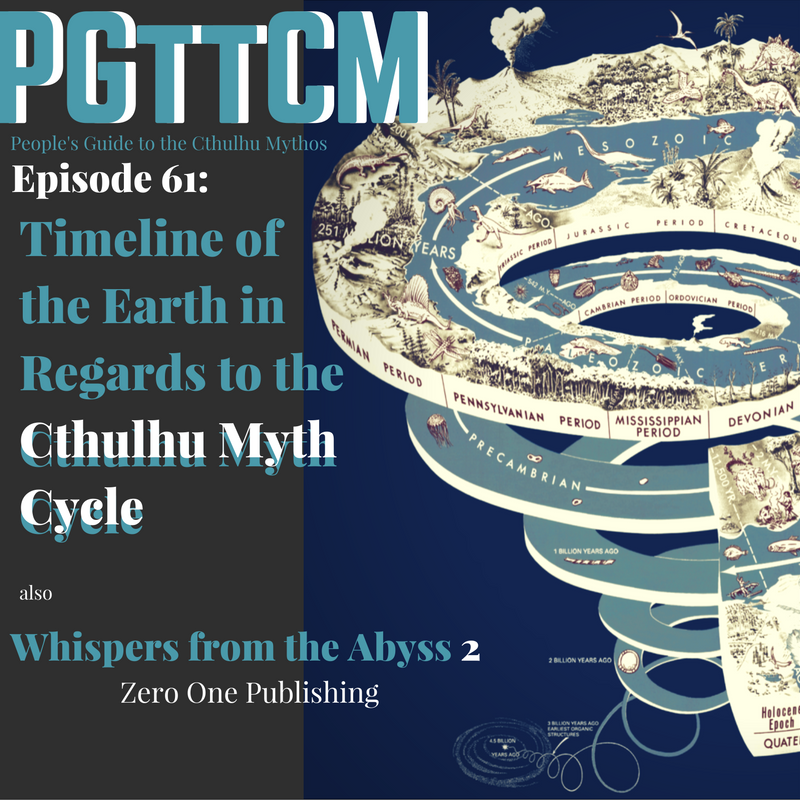 This episode we talk of the Timeline of the Earth in Regards to the Cthulhu Myth Cycle, as well as Whispers from the Abyss vol. 2. From 2 Trillion years ago, all the way to 20,000 BCE, That’s what we’ve talked about so far. PGttCM is a member of the Dark Myths Collective.